Home / Uncategorized / Twins in Development? 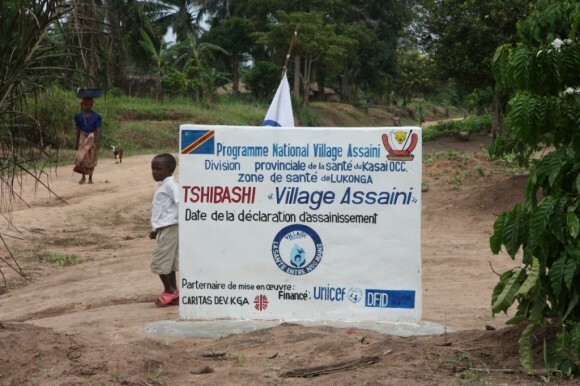 A boy stands by a WASH (Water, Sanitation & Hygiene) programme sign, outside the village of Tshibashi, Kasai Occidental, DRC. Picture: Stephanie Dunga/DFID. When I was a teenager, I lived in a city called St Albans. At the entrance there was always a sign showing that it was “twinned” with a number of other towns or cities around the world. It’s twinned with Fano in Italy, Sylhet in Bangladesh, Worms in Germany, and a few more. As a teenager, I didn’t really understand what this meant, although I knew it had something to do with school exchanges and study trips. The twin towns or cities tended to be quite popular destinations for these exchanges or trips. But had I investigated further I would have realised that twinning was actually one of the earliest forms of cross-country development cooperation. Just like the Marshall Plan and the creation of the Bretton Woods Institutions, twinning – or “sister cities” as it is sometimes known – has its origins in the post-World War II era. Its initial aim was to create more harmony across Europe, and it has now evolved to the extent that thousands of cities and towns are now twinned around the world. Another city in which I grew up – Nairobi – is twinned with Rio in Brazil, Kunming in China, and Denver in the USA, amongst others. So what’s so special about twinning? Well it’s a key form – though not the only form – of what is known as decentralised cooperation, where governments at sub-national level from different countries cooperate with each other. Other forms of decentralised cooperation are, for example, policy exchanges on sub-national policies – from water regulation to bike sharing schemes. And it is hugely popular. A few weeks ago I attended a World Congress which had attracted 3500 participants from sub-national governments from 130 countries, all focused on exchanging these sorts of experiences and scaling up their cooperation. I was at the congress to talk about the Global Partnership for Effective Development Cooperation – and how applying its principles could help improve and scale up decentralised cooperation. But I left the congress with a new respect for this kind of work. I was particularly struck by the closing comments that the chair of the panel I was speaking on – Antonio Vigilante – made. He looked back at the origins of decentralised cooperation, such as twinning, and said those were the good old days. Over time, the role for sub-national governments has become increasingly complex and difficult, not only because national governments are increasingly giving more autonomy, law-making and revenue-collecting competencies to local governments – for example in Kenya. Local governments now have to deal with major trends such as population increases and rural-to-urban migration, as well as climate change and technology shifts which create both new opportunities and uncertainties. Talking about such major shifts reminded me of an article I wrote a few months ago in The Guardian about how DFID’s and other development agencies’ business models need to change as a result of similar global trends. The business models for local governors, mayors, senators and other sub-national leaders also have to change to adapt to these trends. These shifts make the Global Partnership even more critical. The Global Partnership principles – results, transparency, inclusivity and ownership – are just as important for decentralised actors to stick to in these changing times as they are for national actors to follow. For instance, a recent study in Ecuador suggests that decentralised actors have a strong degree of ownership over international cooperation, which is encouraging, though they find focusing on results far harder. But beyond that, encouraging more partnerships not just between local actors but between agencies like DFID and local governments can also be very productive. Our office in DRC, for example, has recently begun working with the provincial government of Kasai Occidental – a province the size of England and Wales – with a population of 8 million people – to improve living standards. Targeting UK efforts in this way can make a major difference to our effectiveness. So next time you pass the entrance to a town or city, make sure you take notice of who it’s twinned with or who its sisters are – you might find some unusual, but very interesting pairings.